Miesha Tate Biography - Facts, Childhood, Family Life & Achievements of Mixed Martial Arts Pundit. Miesha Theresa Tate is an American mixed martial arts pundit. Check out this biography to know about her childhood, family life, achievements and fun facts about her life. 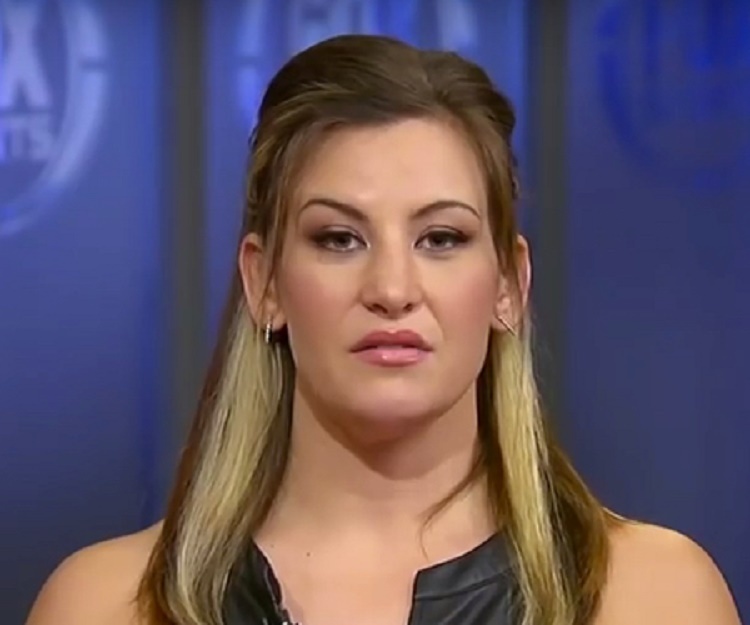 Miesha Theresa Tate is an American mixed martial arts pundit. Also a former mixed martial artist, she had competed in the Ultimate Fighting Championship and is a former UFC Women's Bantamweight Champion. Born in Tacoma, Washington, she was very active in sports from her school days. While she was studying at the Central Washington University, she started attending the mixed martial arts club after it was recommended by a friend. At the age of 20, she took part in her first amateur bout against Elizabeth Posener, who specialized in Muay Thai. The following year, at the one-night HOOKnSHOOT Women's Grand Prix, she made her professional debut. After a period of two years, she won the FCF Women's Bantamweight Championship for the first time. Tate's fighting style focused on wrestling and Brazilian jiu-jitsu, and earned her much praise and appreciation. Her popularity increased when she won the ‘Strikeforce Women's Bantamweight Championship’ soon after. In addition to her career in mixed martial arts, she has also modeled for several websites and publications, such as ‘ESPN The Magazine’ and ‘Fitness Gurls’. She is a playable character in the video game EA Sports UFC as well. Miesha Theresa Tate was born on 18th August 1986, in Tacoma, Washington, in the United States. She grew up as a tomboy and used to socialize and play with the boys in her neighborhood. She did her schooling from Franklin Pierce High School, where she took part in amateur wrestling. Later, she attended the Central Washington University, where she was encouraged by a friend to attend the mixed martial arts club along with her. 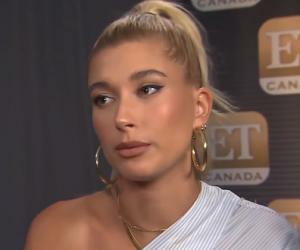 Tate agreed, and upon joining, she developed an interest in Brazilian jiu-jitsu, which is a submission-based martial art, which is mostly performed on the mat. Tate slowly learned more about how mixed martial arts worked. Unlike wrestling, it allows the use of strikes, along with grappling. In March 2006, she took part in her first amateur bout, against Elizabeth Posener, who specialized in Muay Thai. In November 2007, Miesha Tate made her professional debut in mixed martial arts, at the one-night HOOKnSHOOT Women’s Grand Prix. She did well initially, defeating Jan Finney, but was later beaten by Kaitlin Young, who eventually became the tournament champion. Throughout the next few years, she took part in fights in several small organizations, and won a few. Her victories included defeating Jamie Lyn Welsh in CageSport MMA and Jessica Bednark in Freestyle Cage Fighting (FCF). In 2009, two years after she made her professional debut, she took part in, and eventually clinched the FCF Women’s Bantamweight Championship. Thus, she laid her foundation for further success in her MMA career. In August 2010, at Strikeforce Challengers: Riggs vs Taylor, she was included in a one-night Strikeforce women’s tournament. She faced Maiju Kujala in her first round who she managed to defeat. At the final, she defeated Hitomi Akano, to become Strikeforce Women’s Bantamweight Tournament Champion. Later, she fought and defeated Marloes Coenen, to become the new Strikeforce Women’s Bantamweight Champion. Her first title defense took place against Ronda Rousey, who had made her MMA debut in early 2011. Their bout took place on 3rd March 2012, which was televised on Showtime. Despite putting up a brilliant fight, Tate was defeated and she lost the title to Rousey. In February 2013, she finally joined the Ultimate Fighting Championship (UFC). She made her UFC debut in April 2013, and took on Zingano in the Ultimate Fighter 17 finale. It was revealed that the winner would fight against Ronda Rousey for the UFC Women’s Bantamweight Champion. Though Tate won the first two rounds, she was beaten by Zingano in the final round. Later, after Zingano decided to withdraw as Rousey’s opponent because of a knee injury, she was replaced by Tate. The fight took place on December 28, 2013 at UFC 168, where Tate lost in the final round to an armbar after managing to escape two submission attempts. The following year, Miesha Tate faced Liz Carmouche on 19th April 2014 at the UFC on Fox: Werdum vs. Browne event. The fight resulted in a victory for Tate, which was also her first win in the UFC. She next faced Rin Nakai, at newcomer at ‘UFC Fight Night: Hunt vs. Nelson’ in September. Once again, the fight resulted in a win for Tate. In January 2015, Tate surprised the MMA community by out-grappling McMann, who was an Olympic medalist. The fight resulted in a victory for Tate, after which she was declared to a top fighter by FoxSports.com. Holly Holm defeated Rousey for the UFC Bantamweight Championship in November 2015. In January 2016, it was announced by the UFC that Tate would be fighting Holm for her first title defense at UFC 196. In March 2016, Tate managed to beat Holm through a technical submission, becoming the new UFC Bantamweight Champion. In December 2016, Miesha Tate announced her decision to retire from MMA after spending a decade in the field. Damon Martin of FoxSports.com commented that the legacy created by Tate would be hard to match for any fighter in the upcoming years. Miesha Tate made an appearance in ‘Fight Life’, which was a full-length documentary on mixed martial arts. Directed by James Z. Feng, the film focuses on the lives of MMA fighters, and shows what it takes to be a modern-day professional fighter. The film won an award for ‘Best Documentary’ at the United Film Festival. Miesha Tate’s achievements in her UFC career include wining the ‘UFC Women’s Bantamweight Championship’, as well as the ‘Strikeforce Women’s Bantamweight Championship’ and ‘FCF Women’s Bantamweight Championship’. Tate has won a silver medal in the FILA Grappling Championships as well. Miesha Tate is currently believed to be single. She earlier used to date Bryan Caraway, a former UFC fighter, who was also her trainer. She once saved the life of Bryan’s mother when the latter had an asthma attack while scuba diving. She loves American football, and is a fan of the Seattle Hawks.